As we reported three and half months ago, Amazon has now officially renewed the show. 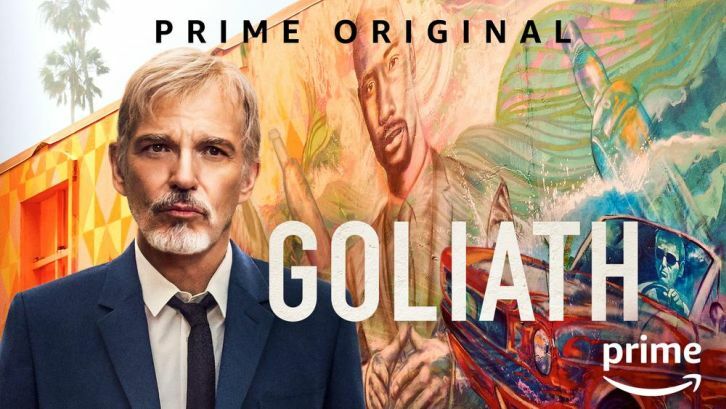 Amazon has renewed their Billy Bob Thornton starrer legal drama Goliath for a 3rd season, SpoilerTV has learned. Season 2 of the drama premiered on June 14th and saw Billy McBride (Billy Bob Thornton) returning to criminal defense, taking on a grisly double murder case. His client is a 16-year-old boy, and Billy's damn sure he's innocent. Billy, Patty (Nina Arianda), and the team fervently build their case in the seedy underworld of Los Angeles. As the murders' true culprits come to light, the implications reach as far as the mayoral race - and the city's preeminent billionaire developer. Per Production Weekly, production on the new season will start in late November.